If you've never tried chia seed pudding, you're in for a treat. It's a fast, easy-to-prep-ahead meal or snack that is totally customizable and delicious. Chia seeds are a nutrient-dense food, full of omega-3 fatty acids, protein, fiber, carbohydrates, calcium, vitamins and minerals. These tiny seeds swell up when soaked in liquid and form a gelatinous coating that creates a luxe, pudding-like consistency. There are so many options when making chia seed pudding. You can make the recipes vegetarian or vegan, depending on the type of base you choose. 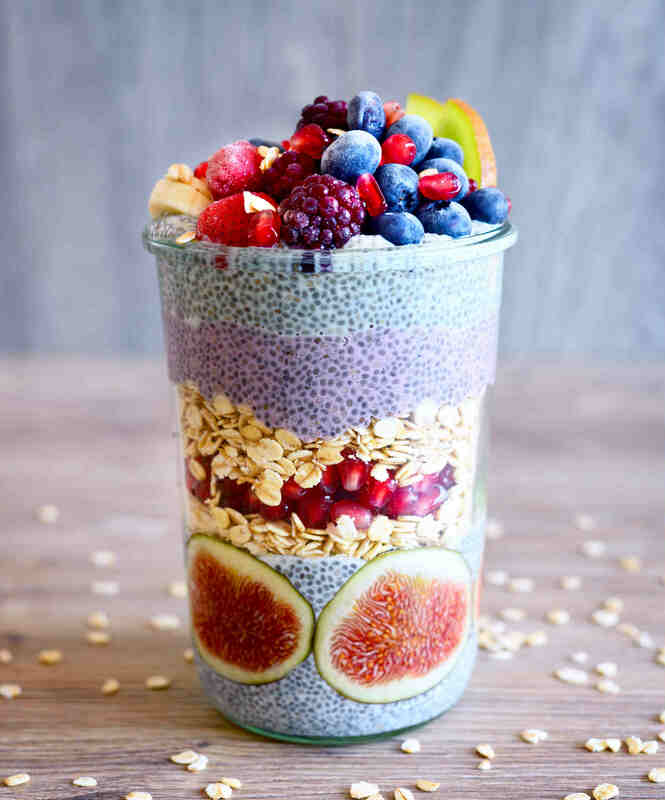 We've found some of the tastiest, most colorful, Instagrammable chia seed pudding recipes to get you started — from the minimalist to the more adventurous. The best part, you can make them the night before and they thicken and get better overnight. Get ready — your breakfast just became revolutionized.